How can you define Business Process Management (BPM) or define Process Management? The definition of business process management or bpm definition as Dragon1 Term is: A systematic approach, and a field in operations management, focusing on how to improve the performance of the enterprise by managing and optimizing its business processes. This approach is the best thing that can happen to your business or organization. It will increase your revenue and lower your costs! BPM is an area in operations management focusing on improving corporate performance by managing and optimizing the organizations business processes. Business process management focuses on improving corporate performance by managing and optimizing a company's business processes. This approach can be seen as a process optimization process. And it makes companies more efficient, effective and capable of executing changes than the functionally focused, traditional hierarchical management approach. Efficient business processes have a positive impact on cost and revenue generation of a company. Business Process Management can also mean a software tool, technology suite or information system to develop and deploy processes in the organization. After doing that an organization is more adaptive. It is better able to respond to customer need changes and change the business. Design - Design of business processes is about the identification of existing business processes and the design of "to-be" business processes. Model - Modeling takes the theoretical design and introduces combinations of variables. Execute - Controlled manual and automated execution of activities in business processes (with human intervention). Monitor - Monitoring is about compasses tracking individual activities in processes, so that information on their state can be easily seen, and statistics on the performance of one or more processes can be provided. Optimize - Process optimization is about retrieving process performance information from modeling or monitoring phase: identify and take away bottlenecks! Reengineer - Sometimes processes are not defined, described or documented but they are problematic. In that case, it is best to interview people and use reports to chart and document a process. Every process in the organization should be diagrammed and documented. Else it is uncontrollable. The BPM cycle can be chopped into four steps, as in the picture below. Either way, how you define or chop things, it always starts with DESIGN. You need to know what you are doing and what you should be doing: When, what why and how. 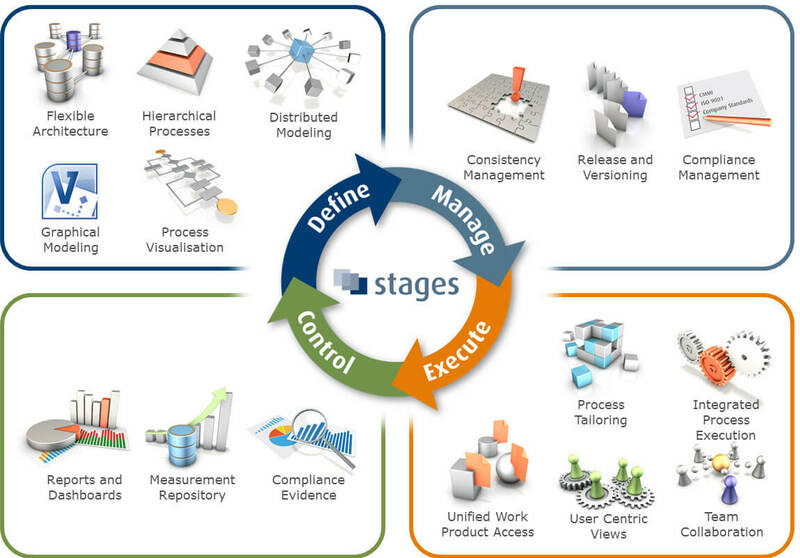 As simple as it can be said, you only need to analyze and redesign your business processes. But that can be very hard to do. But because of the benefits, it is always worth the while. Step 1: Create an A0 sized overview, a process landscape of your current business functions and cross-reference them with business processes. This is your as-is situation. Use a reference model from your industry to start off. Step 2: Copy the overview and call it to be landscape. identify and draw the most important process starting events, outcomes and business activities in the cross-reference matrix. Step 4: Look at the future products and services you want to deliver to future markets and clients. Write down what inevitably will change the coming years. Step 5: identify the new starting events and outcomes of your processes and top activities to create, produce and deliver these products across the functions. Step 6: Take every business process and detail its description and create an activity schema per business process. 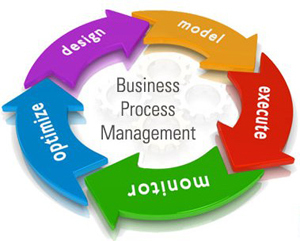 With these steps you are on your way to generating the benefits of business process management. Cost Efficiency - Saving cost, easily up to 30% in your processes. Cutting down on preventable errors in customer services. Business Agility - Increasing the quality of your products and making it consistent. Compliance Easy - Improved and quicker reacting on changes in the environment. Customer Focus and Increasing customer satisfaction. Staff Satisfaction - It is more fun if you know exactly what to do. Business Process Architecture Diagram, showing the concepts, principles and elements of every business process. Business Architecture Diagram, showing all the business process architecture diagrams at once. Do you want to create Process Diagrams? Sign up for Dragon1 Trial Account today. Dragon1 templates are available to be more productive when creating diagrams.